Can everyone on your team work, share, and collaborate from anywhere? Securely? The Employee Engagement Solution brings you the power of the world’s most sophisticated platform at an accessible price. But does it really deliver? In fact, retail organizations like yours have reported a 48% increase in employee engagement and a 31% increase in store associate productivity. A win-win by any standard. But does it really deliver? In fact, HLS organizations like yours have reported a 48% increase in employee engagement and a 31% decrease in meetings. A win-win by any standard. Every industry today is being disrupted by innovators who are leveraging technology to move faster than the competition. 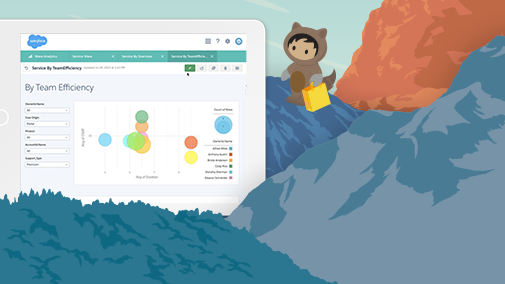 These trailblazers are transforming their companies with apps built on a platform designed to accelerate productivity, boost collaboration, and increase revenue. The Trailblazer’s Guide to Apps contains 39 stories of IT innovators at businesses, large and small, across nine industries. Start now with five of these inspiring stories, showcasing the best and the brightest in IT today. Then download the full book for more great examples of what you can do to empower everyone across your enterprise to move faster.